At least 112 people have been killed in a fire at a multi-story clothing factory in Bangladesh. Night shift workers jumped out of the building's windows after fire blocked off escapes and the factory became filled with suffocating smoke. 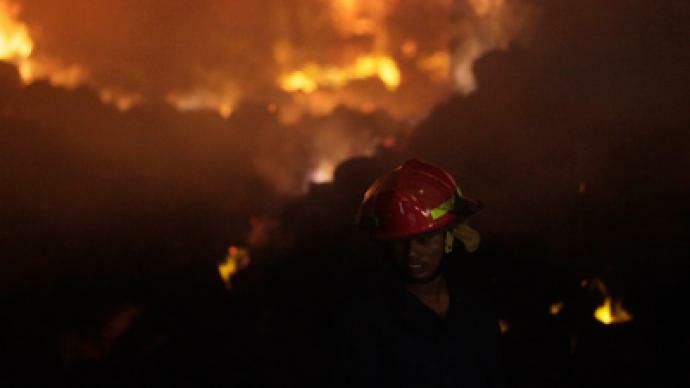 ­The death toll from the blaze on the outskirts of Bangladesh's capital Dhaka rose after rescuers discovered more bodies in the ruins. Fireman battled the flames for over five hours after the fire broke out late Saturday. 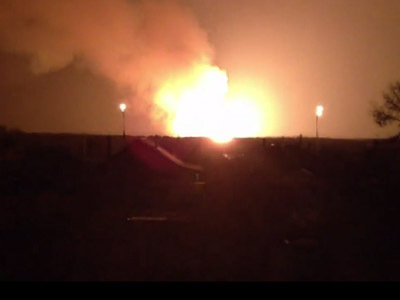 The inferno began on the ground floor, trapping night workers inside the seven-story building. The workers' relatives frantically searched for their loved ones. Sabina Yasmine, a worker at another factory, told AP she found her daughter-in-law dead, but couldn’t locate her son. ­Police reported that many workers, most of whom were women, leaped from the factory’s upper floor to escape the fire and smoke. "There were more than 1,000 workers trapped in the factory," one worker told local media from her hospital bed. "I jumped from a window on the fourth floor and found myself on the third-storey roof of another building. Several people fell out of the window and died." Mahbub said that most of the victims were on the second floor. "Those who could not jump died due to suffocation. 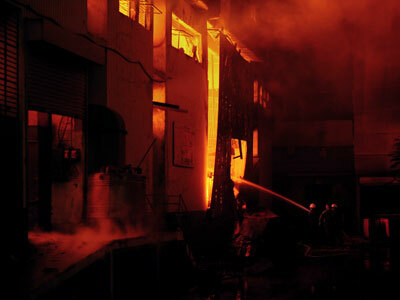 The factory had three exits but since the fire was on the ground floor, workers could not come downstairs," he told AFP. Some of the victims were burned beyond recognition. Authorities kept the recovered bodies in rows next to a nearby school before turning over those identified to the relatives. Firefighters managed to find and rescue some of the workers who had found places of shelter inside the factory. Army soldiers and paramilitary border guards were deployed in the area as onlookers and grieving relatives gathered at the scene. 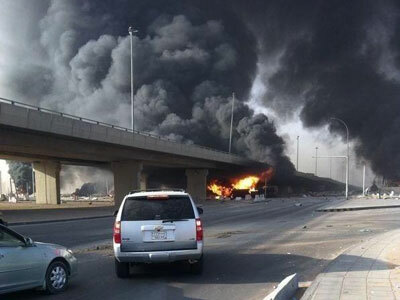 The cause of the inferno remains unclear. South Asian nations generally have notoriously poor safety records, and many fires start due to shortcuts in faulty electric equipment. Factory owner Delwar Hossain insisted that there were no safety problems at his property. Two years ago, a similar blaze in another garment factory triggered by a wiring problem killed at least 25 people. Textiles compose up to 80 percent of annual exports in Bangladesh, which total $24 billion. The country has around 4,000 garment factories, which use cheap local labor to secure markets for their products. The primary buyers of their products are the United States and Europe.